Stop in Today To Browse Our Craft Store! A & E Fabric & Crafts, conveniently located in Pensacola, FL and serving the surrounding areas, is here for all your sewing and crafting needs. 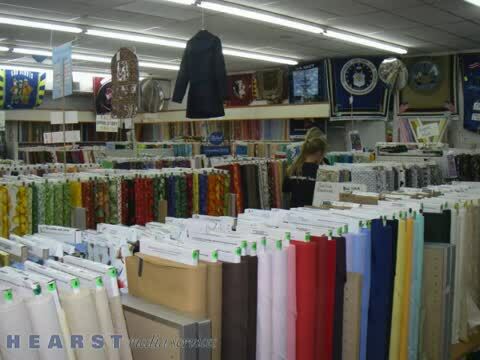 We feature a phenomenal fabric shop, stocked with beautiful domestic cottons, linens, imported fabrics, exotic materials, satins, nylons, and polyester blends. No matter what kind of fabric you might be looking for, we've got you covered. Take your time and find the perfect size, the perfect style and the perfect fit while you peruse our many pattern books. We have a huge craft store department as well, stocked with rhinestones, feathers, beads and everything needed to complete your crafting projects. Don't think we forgot about the needlework supplies either! Our fabric shop offers a variety of fabric: imported, domestic and exotic. We carry cottons, linens and satins in a variety of colors. Stop by our New Warrington Rd. location in Pensacola, FL today and browse our several departments. Our craft store is sure to have something you're looking for. If you’re new to sewing and crafting, or would like to further enhance your skills, A & E Fabric & Crafts also offers sewing classes for all skill levels! Give us a call to learn more about the sewing classes we offer. You could be on your way to learning a fun and fulfilling new hobby! Join Our Sewing Classes today! Whether you’re just starting out and want to learn more about our sewing classes or you’d like to visit our fabric shop and craft store for materials to complete your latest project, A & E Fabric & Crafts is sure to be able to help you. We’ve been serving the Pensacola, FL area for many years, offering the supplies you need to turn your vision into a reality. Call or stop into our fabric shop and craft store today to get started! Full-service fabric and craft department: notions, crafts, trims, rhinestones, feathers, quilting, needlework, beads, and sewing classes. Our NEW Hours for 2018!